The Animal Vaccination Service was founded over two decades ago by Dr. Ramsay McDonald, a pioneering Veterinarian who believed in professional, affordable veterinary care for everybody. 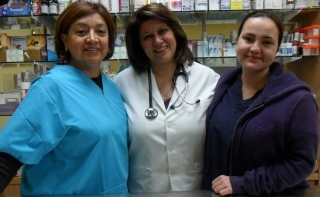 When Dr. McDonald retired, Dr. Badri took over the ownership of the clinic back in 2003. Not every pet owner is able to pay for vaccinations, treatments and elective surgeries (Spay and Neuter) provided at full service veterinary clinics. As the affordable veterinary office, we aim to keep our prices low to make basic veterinary care accessible to as many pet owners as possible. Our reduced price services are available to all pet owners and include realistically priced routine vaccinations, cat and dog spay/neuter, dental procedure, puppy tail-docking and cat declawing. AVS also offers growth removal procedure for reasonable price.